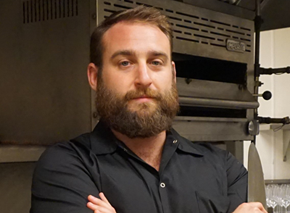 Born into a family with a strong entrepreneurial spirit and a love for food, Ross grew up knowing that his true home was in the restaurant industry. After getting his start answering phones at a local pizza place, Ross scaled the ranks working every job from busboy to manager. The day after his 25th birthday, Ross moved to Indianapolis from Chicago to assume the general manager position at RAM Restaurant & Brewery. Later, moving on to Sun King Brewing Company as the retail operations manager. There Ross was influential in re-establishing the tasting room and opening the Fishers Taproom. Ross’s passion for foodservice and appreciation for craft beer and nostalgic foods is the driving force behind Rooster’s.